Have Bones of Cleopatra’s Murdered African Sister Been Found? A Viennese archaeologist lecturing in North Carolina this week claims to have identified the bones of Cleopatra’s murdered sister or half-sister. But not everyone is convinced. That’s because the evidence linking the bones, discovered in an ancient Greek city, to Cleopatra’s sibling Arsinoe IV is largely circumstantial. A DNA test was attempted, said Hilke Thur, an archaeologist at the Austrian Academy of Sciences and a former director of excavations at the site where the bones were found. However, the 2,000-year-old bones had been moved and handled too many times to get uncontaminated results. “It didn’t bring the results we hoped to find,” Thur told the Charlotte News-Observer. She will lecture on her research March 1 at the North Carolina Museum of History in Raleigh. 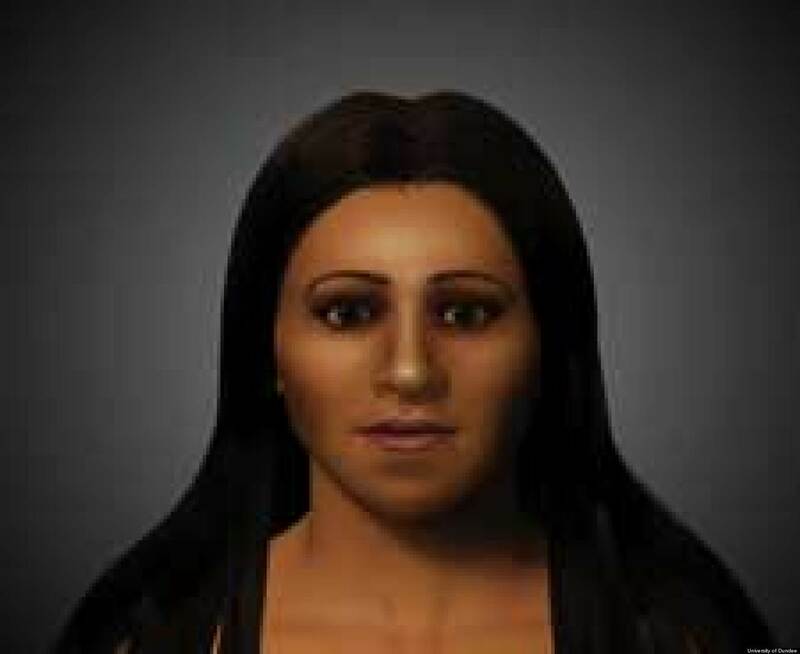 This image shows reconstruction of Cleopatra’s murdered half-sister, Arsinoe IV, created in 2009 by scientists at Scotland’s University Of Dundee. Arsinoe IV was Cleopatra’s younger half-sister or sister, both of them fathered by Ptolemy XII Auletes, though whether they shared a mother is not clear. Ptolemic family politics were tough: When Ptolemy XII died, he made Cleopatra and her brother Ptolemy XIII joint rulers, but Ptolemy soon ousted Cleopatra. Julius Caesar took Cleopatra’s side in the family fight for power, while Arsinoe joined the Egyptian army resisting Caesar and the Roman forces. It’s a love story so epic that Shakespeare saw it fit to be the subject of one of his tragedies. They met in 41 B.C. at the height of turmoil in the Roman Republic; she, an Egyptian queen, seduced him, a powerful (and already married) general, into a romantic and tenuous political alliance between their territories. The alliance would prove sour when future emperor Octavian convinced the Roman senate that Marc Antony was power-hungry and bewitched by Cleopatra, declaring war on his former partner in 31 B.C. Both Antony andCleopatra committed suicide during the war rather than be captured. Thur argues that the date of the tomb (sometime in the second half of the first century B.C.) and the illustrious within-city location of the grave, points to the occupant being Arsinoe IV herself. Thur also believes the octagonal shape may echo that of the great Lighthouse of Alexandria, one of the Seven Wonders of the Ancient World. That would make the tomb an homage to Arsinoe’s hometown, Egypt’s ancient capital, Alexandria. In 2009, a BBC documentary, “Cleopatra: Portrait of a Killer,” trumpeted the claim that the bones are Arsinoe’s. At the time, the most controversial findings centered on the body’s lost skull. Measurements and photographs of the incomplete skull remain in historical records and were used to reconstruct the dead woman’s face. “We get this skull business and having Arsinoe’s ethnicity actually being determined from a reconstructed skull based on measurements taken in the 1920s?” wrote David Meadows, a Canadian classicist and teacher, on his blog rogueclassicism. “In that case, the ethnic argument goes largely out of the window,” Cambridge classics professor Mary Beard wrote in the Times Literary Supplement in 2009. ← Southern democrats opposed Civil Rights Act in 1960’s: Funny how things change!